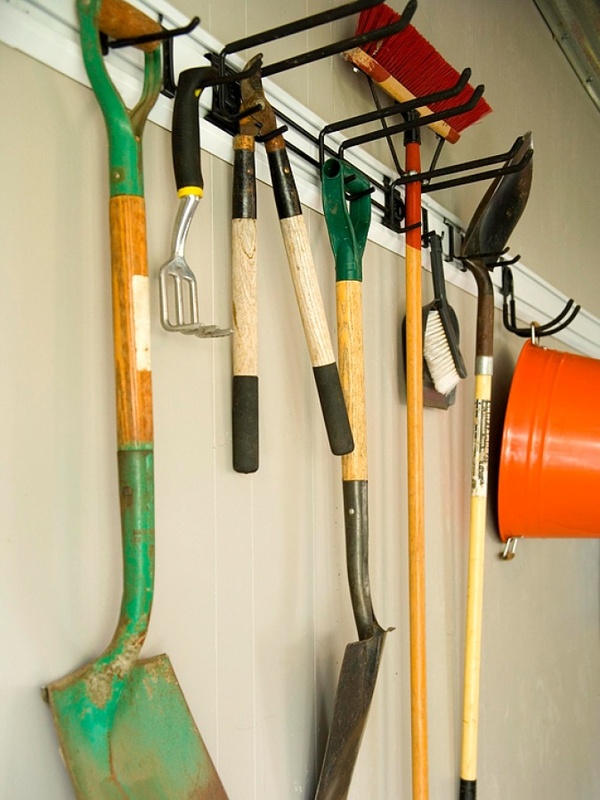 Garden tool storages allow you to organize your gardening tools neatly. Instead of investing in pricey storage, you can DIY one from the below easy tutorials. 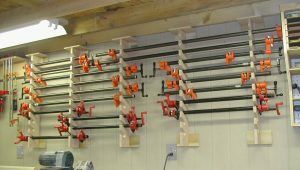 They are compact and have special features to accommodate and support the long handles of the tools. 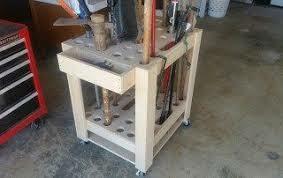 For this storage cart, you need a drill, table or circular saw, a sheet of plywood, casters and hooks. 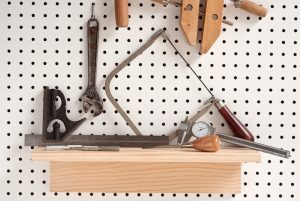 The initial steps involve cutting square pieces of wood and drilling holes into them. 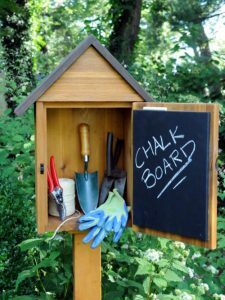 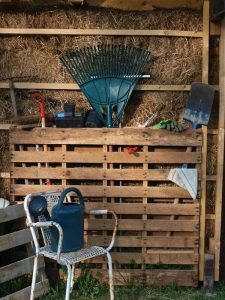 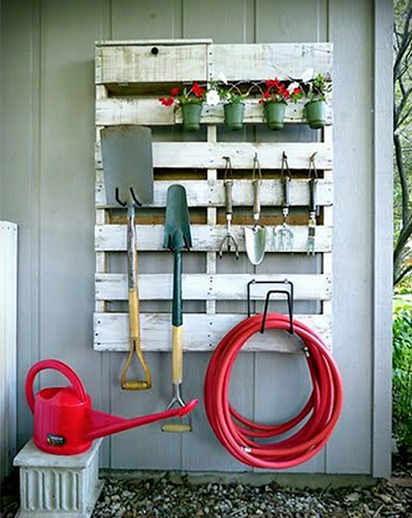 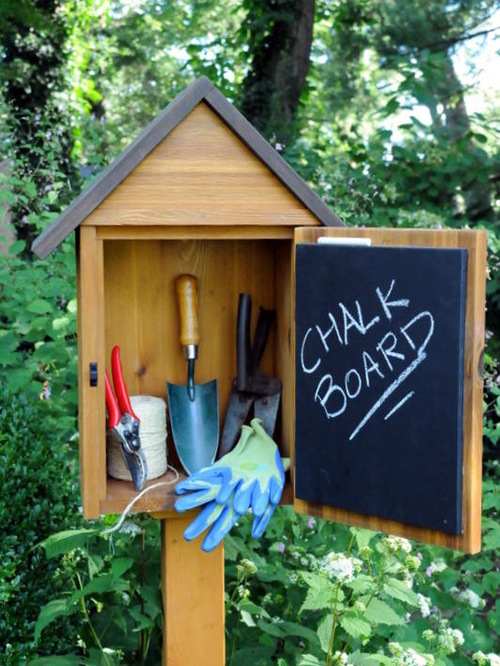 In this step-by-step an old pallet has been repurposed to create this rustic garden tools storage. 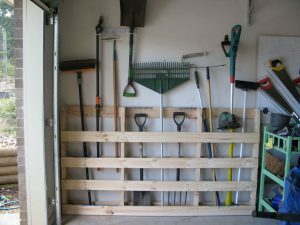 It has been fixed to a wall and then filled with the gardening equipment. If you own a garage that is new and freshly painted, you might not like the idea of nails and hooks drilled into it and spoiling the show. 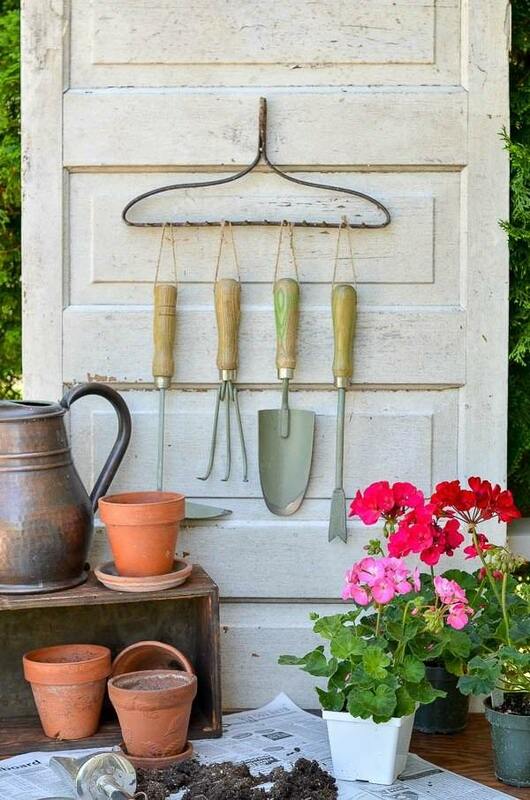 This lovely garden tool rack frees you of the hassle without compromising on the functionality. For this shed, you need to prep the ground by leveling it. 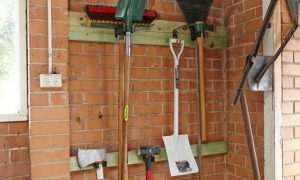 Start by burying a foundation block at each corner. 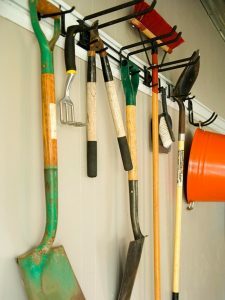 For the rest, just click on the above-linked post. 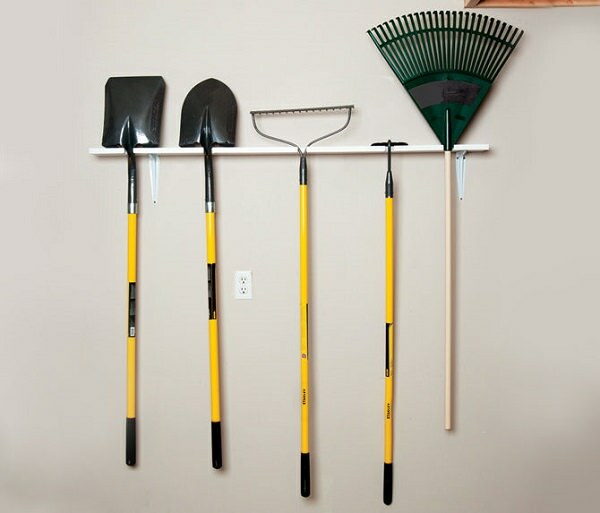 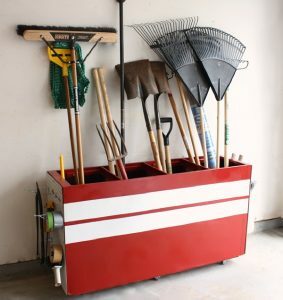 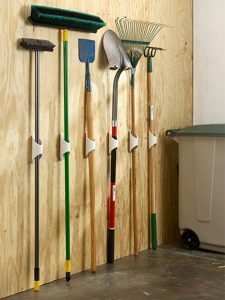 This simple tool caddy provides you with extra storage space for your rakes, brooms and shovels. 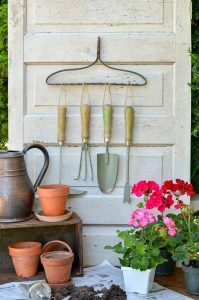 You will find it easy to keep it a lot less messy now when you are gardening. This garden tool rack can be built in less than an hour in just 5 simple steps. 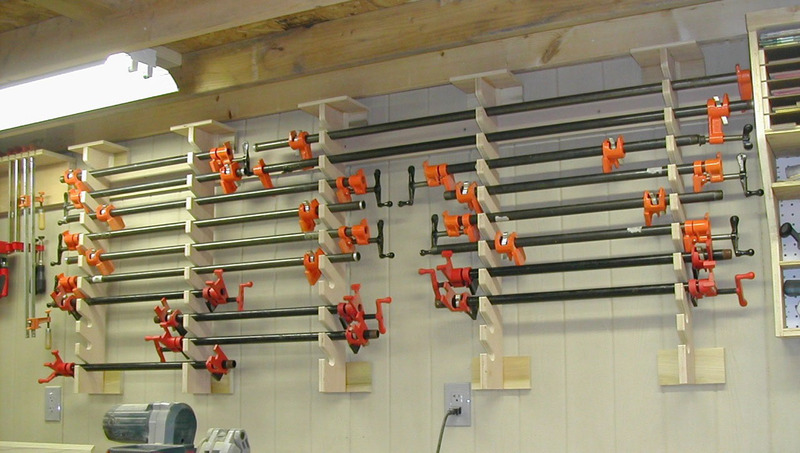 You can customize it to suit the type of tools that you want it to store. 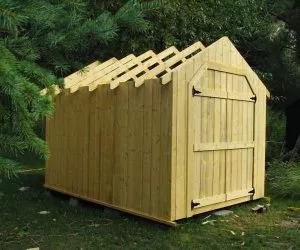 This cheap shed has ample storage space for your requirements. 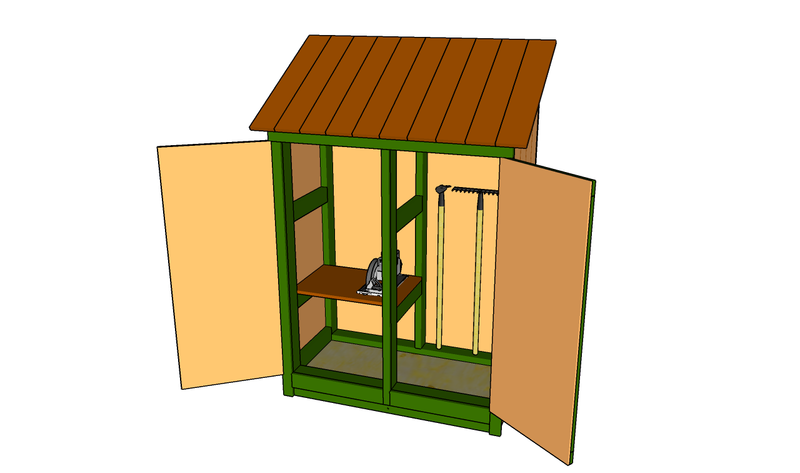 The modular construction makes it easy to build and it is amply pocket-friendly. 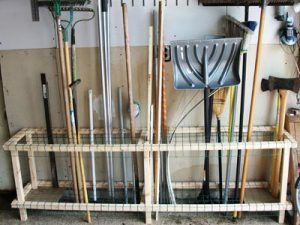 This video tutorial demonstrates how to make cheap storage for your garden tools so that they can rest comfortably when they are not battling it out in the yard. 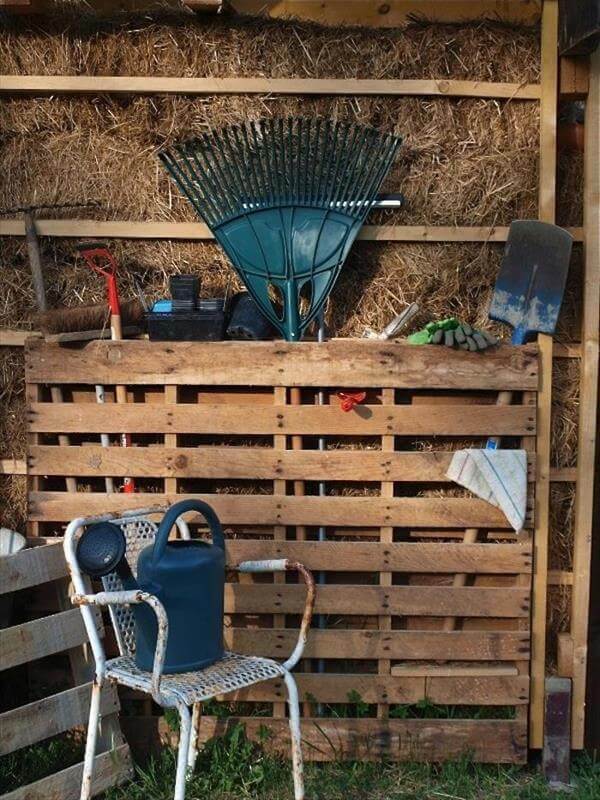 This would give you an opportunity to recycle pallets. 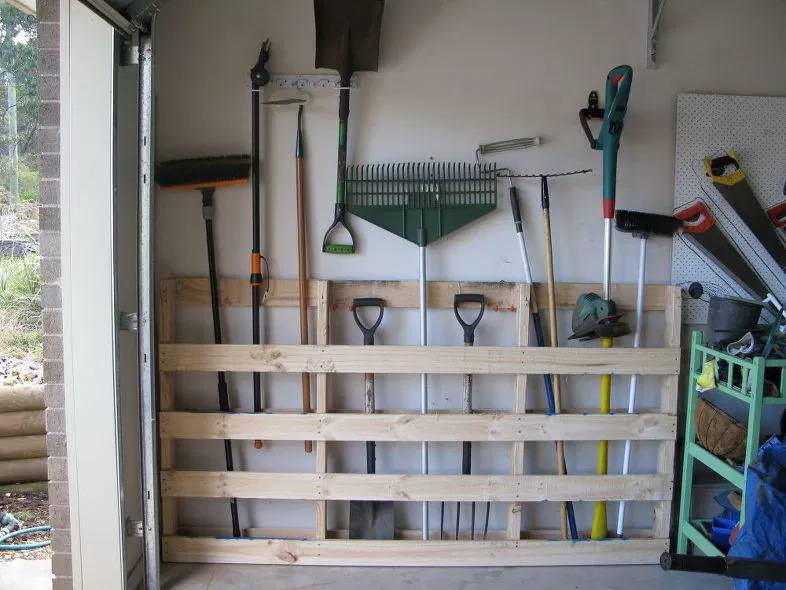 In the first step, you have to make a small compartment at the top of the pallet. For this, you can cut the top front board on the pallet with power tools. 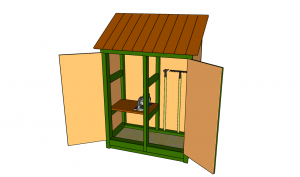 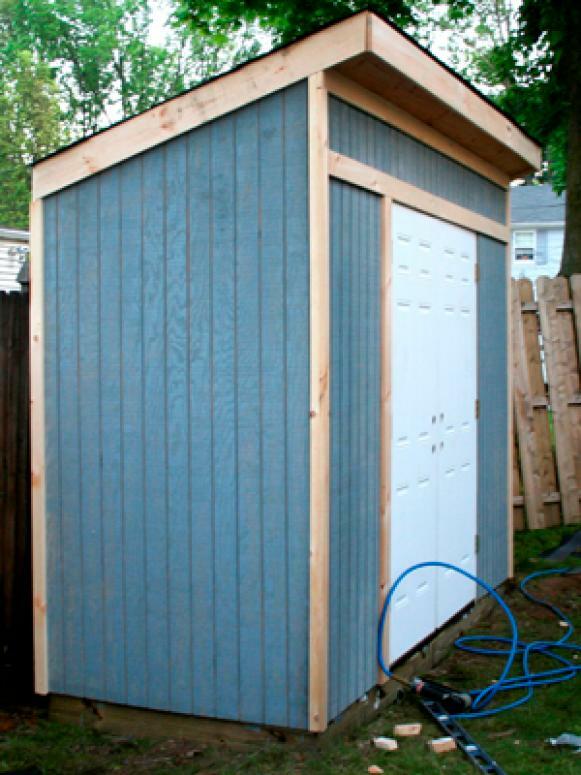 The above-linked article gives the details of turning a garage into a garden shed. 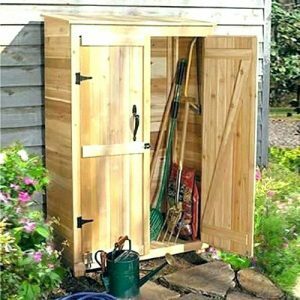 Just pick the part that deals with the making of the artistic garden storage that is fitted to the wall and saves a lot of space. 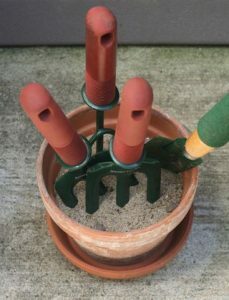 This super simple out-of-the-box idea turns a few clay flower pots filled with sand into garden tool holders. You can use larger pots for the longer tools. 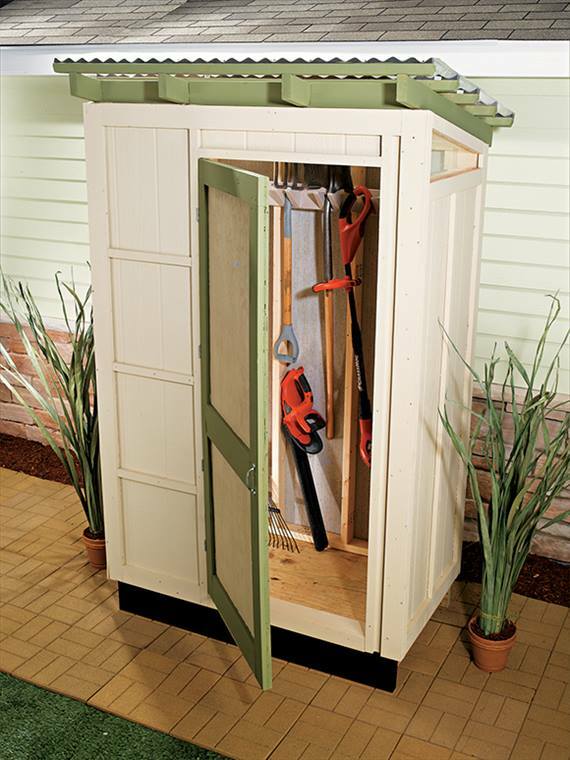 This pine hutch could be the perfect shelter for your essential gardening tools. 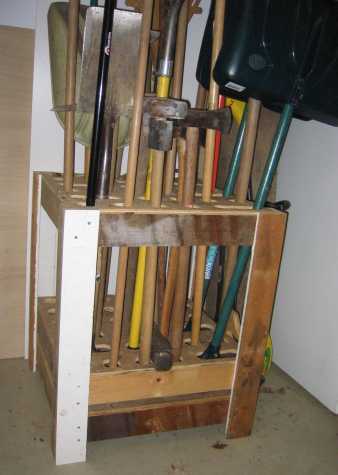 It holds the long handles ones like rakes, hoes and shovels on one side and the smaller items on the other side. 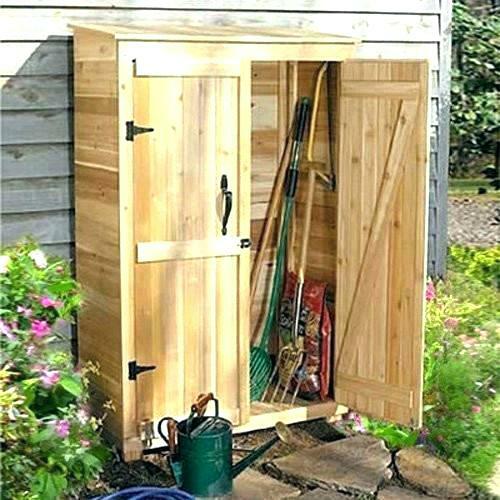 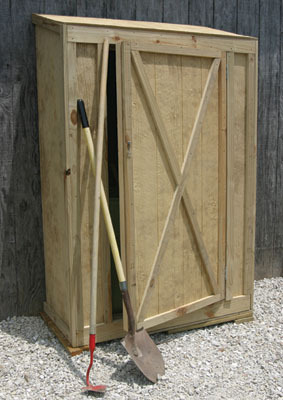 We are sure you liked our mix of easy and complex styles of building garden tool storages. 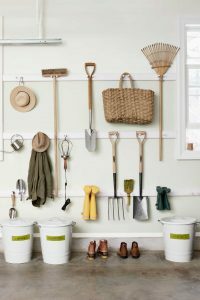 We have thrown in unique, quaint as well as trendy ideas of making your own storage. 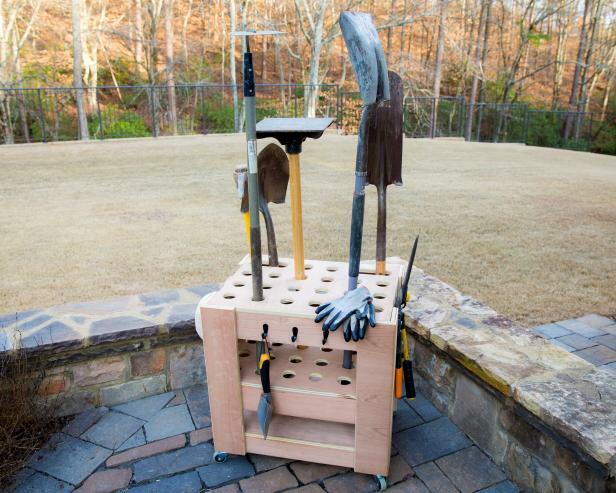 Choose a design that best suits your tools and the space that would house this useful structure.